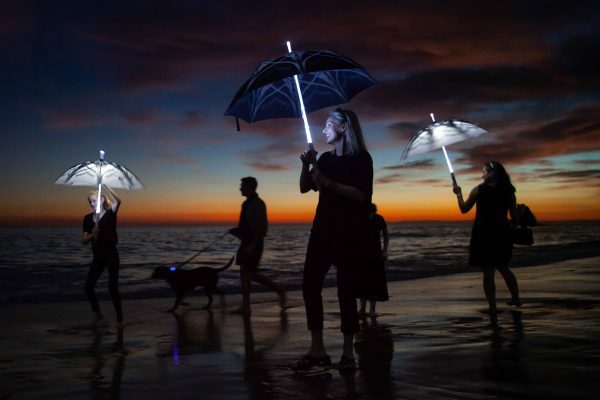 Residents and visitors flocked to Main Beach just before sunset Saturday night to participate in Laguna Art Museum’s sixth annual Art & Nature event. 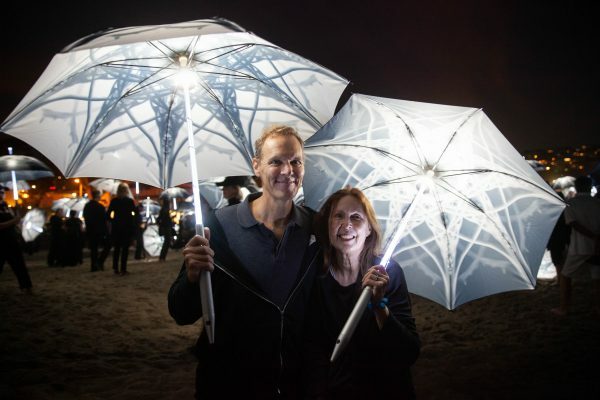 One thousand LED-lit umbrellas with mandala seashell designs were carried around the beach by people dancing and marching about in the sand. A drum circle provided a continuous beat as onlookers watched both spontaneous and choreographed movement unfold. 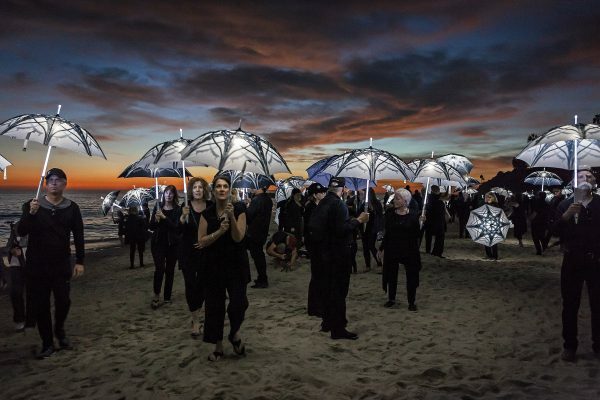 Elizabeth Turk’s “Shoreline Project”was specially commissioned by Laguna Art Museum for its Art & Nature festival, which ran from Nov. 1-4. 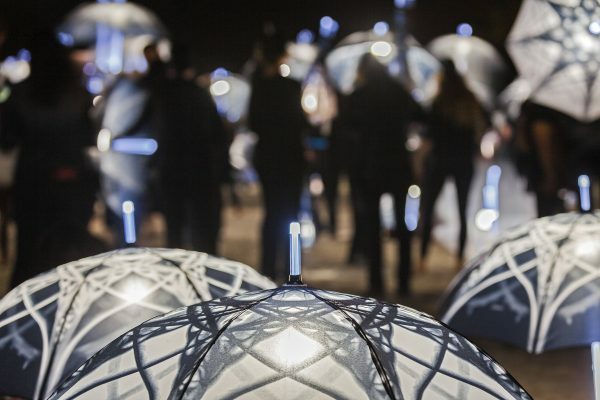 The performance brought together 1,000 volunteer performers who carried the LED-illuminated umbrellas designed as an evolution of the artist’s “Seashell X-ray Mandala” series. 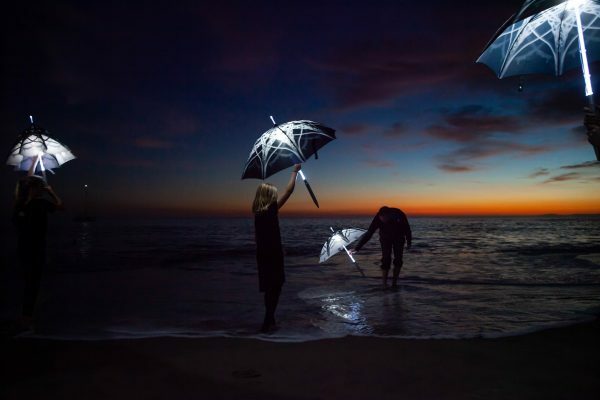 Major support for Art & Nature was provided by anonymous donors, Best-VIP, Ebell Club of Laguna Beach, Festival of Arts Foundation, McBeth Foundation, Orange County Community Foundation, Pacific Life Foundation, and William Gillespie Foundation. 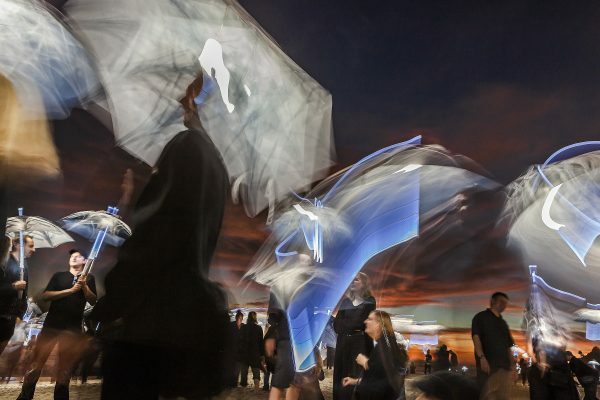 Art & Nature has grown each year since its inception in 2013, and in 2018 attracted more than 1,100 visitors to museum programs and an audience of thousands to view “Shoreline Project.” Art & Nature 2019 is scheduled to take place from Nov. 7-10, with a commissioned work of art by Los Angeles-based artist Yorgo Alexopoulos.